You really educate my reading habits! Firbank is new to me but a book with a chapter comprising of the word Mabel is enough alone to pique my interest! I will try this! 🙂 I think you’ll find Firbank unlike anything else you might have read – but he’s great fun! More than happy that you appreciate his spiky humour and his extremity. Thanks. 🙂 That *was* one of my favourite parts!! I enjoyed it very much – thanks! This sounds like something I would enjoy. I am rather drawn to that cover too. 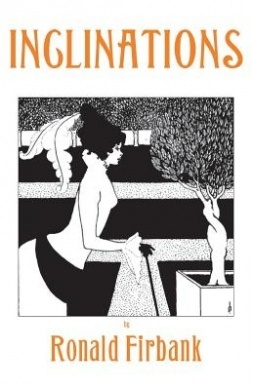 The Beardsley drawings are wonderful, aren’t they? 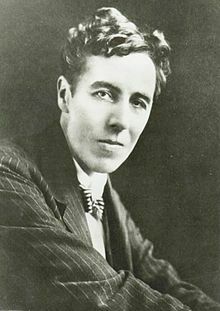 For some reason I have always linked Ronald Firbank with Frederick Rolfe, whose ‘Desire and Pursuit of the Whole’ totally blew my mind in a not-entirely-good sort of way – I felt I would have to save up a lot of energy to read another work by Rolfe, and assumed that Firbank would be the same. Where did that idea come from? From your review, there’s not the slightest resemblance. Firbank sounds fun. Sorry, Ronald. Well, I confess I’ve never heard of Rolfe, but now I’m intrigued enough to go off and check out his work….. As for Firbank – you don’t need a lot of energy, just a sense of humour!! I think part of the joy of Firbank is being baffled! And I don’t always think it matters not knowing who is saying what – I just went with the flow and laughed a lot!